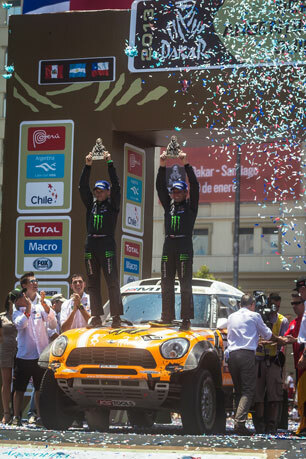 The Russian pilot Leonid Novitskiy showed brilliant result and won “bronze” of the legendary marathon “Dakar 2013”together with the Russian navigator Konstantin Zhiltsov on the wheels of Mini All4 Racing! This event became sign for Russia as the first podium for all history of carrying out the marathon, got by the Russian racers in car category. The Russian “duo” run the race steadily and reliably, without having made mistakes in navigation and piloting, and accurate strategy, mutual assistance and command spirit allowed to bypass strong competitors with success and to cope with torrential rain which interfered more than once with a race course! Step by step Novitskiy followed to his first podium. In Peru, sand and dunes were successfully passed in starting stages in Naska and Pisko and “the riddle of the 13th point” where recognized leaders went off-course and lost time was solved by Russians without problems. In the Chilean Calama, at the sixth, most wearisome stage of race, Russians could realize the advantage they got in dunes, and closely approached to the “top-3”. The throw through the Andes and highlands overcoming with dangerous serpentines and “fesh-fesh” became the following test. At the tenth stage the Russian crew rose on the third position, but already next day they faced with a nature and a big water wave. 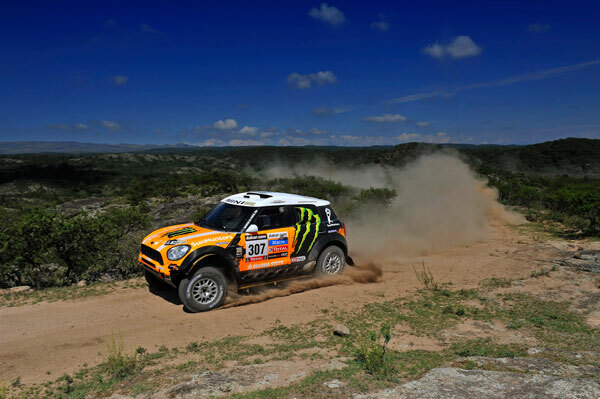 On 70 km of the route of a stage, passing the riverbed orange Mini was covered with a 4-meter wave. The car began to take down, it nearly didn’t turn over, and the navigator who has got out of the car, washed away by the second wave, raging huge cobble-stones. Leonid pulled out his co-pilot from the river by a rope. Leonid Novitskiy: “It was really hard day for us! Considering all circumstances happened, Organizers were obliged to cancel this stage completely as the route didn’t conform to requirements for safety, however it didn’t occur and according to the decision of sports commissioners we got the fixed time of last of the finisher and 35th starting position for the next day!”. Difficulties made the team stronger! Mechanics have done enormous work preparing the car for start, and the crew with even bigger determination continued the way to the finish. Having started the 35th at a stage from Fiambala in Copiapo, Leonid Novitskiy made brilliant breakthrough, having overtaken 13 trucks and 11 cars, and returned a good starting position in top-10, necessary for fight for a podium. This day, according to Leonid, became decisive in the race. Leonid Novitskiy: “This was the best day of the race and most important one. We did a good job even it was very hard and we took a risk when overtook 24 cars and trucks. The first 80 kms of the special stage was most difficult, because the track was twisty, dusty and narrow, but then we were able to push more in the open spaces of sand and dunes. On the finish of the 12th stage we had no doubt that we will be on podium!”. 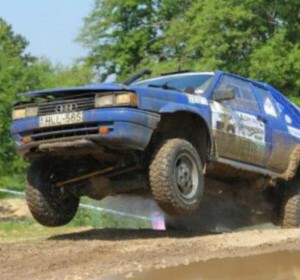 And already on the following special stage No13, Novitskiy returned in “top-3” and won back a downtime in fight against his team-mate Nani Roma, who had flat tires and other mistakes during this stage. On the marathon finish in Santiago, in the presence of million fans from all over the world, Leonid Novitskiy received his first bronze cup of “Dakar 2013”! Even the 35th “Dakar 2013” was ended; the next “Dakar 2014” is already starting its preparation.